Since the consecration in 1989 of the Rt. Rev. 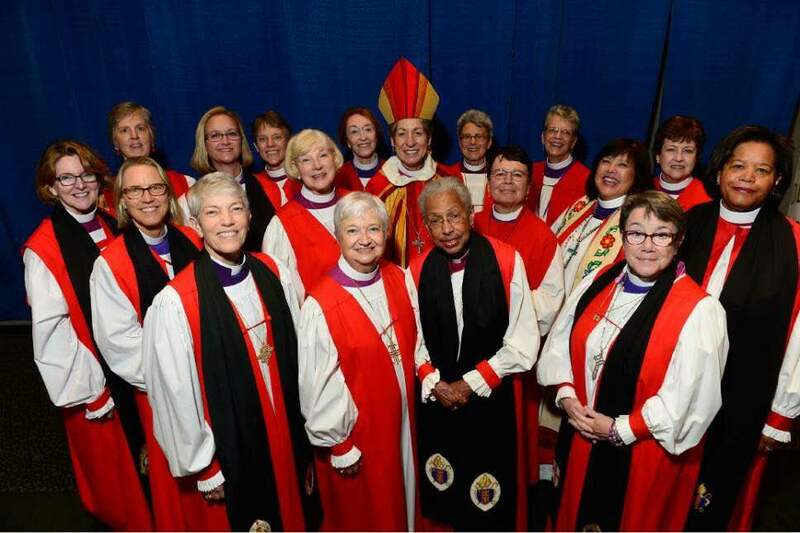 Barbara Harris, only 20 additional women have been ordained bishops in The Episcopal Church. In the same twenty-six year period, 233 men have become bishops. General Convention is a sea of Episcopalians in purple this year: purple scarves, purple shoes, even purple hair, and 178 of them are wearing purple clergy shirts. Of those 178 bishops in purple, only 18 are women. One might wonder if such a low representation among women in the House of Bishops were simply due to the slow nature of the turning tide. After all, Katharine Jefferts Schori’s election as Presiding Bishop nine years ago suggests that we recognize the full and equal authority of ordained women. However, since the consecration in 1989 of the Rt. Rev. Barbara Harris (who, interestingly, was nominated by the Rev. Mary Glasspool, then a parish priest), only 20 additional women have been ordained bishops in the Episcopal Church. In the same twenty-six year period, 233 men have become bishops. That’s an 11 to 1 ratio of men to women, which is just slightly worse than the 10 to 1 ratio of the House of Bishops currently. For comparison’s sake, the Church of England has already named three women bishops this year. In short, sexism persists in the church. But that’s not news. What is news is that new initiatives are appearing across the church to raise up and support women in leadership roles, initiatives that look toward not just purple scarves but purple shirts. New networking initiatives like Beautiful Authority and Breaking the Episcopal Glass Ceiling connect clergy women of all ages and enable them to share learnings and information about search processes, training opportunities, and stories of success and failure. Resolutions at General Convention such as D004 (for a task force to study episcopal elections) and D030 (establishing a parental leave policy) will benefit women throughout the church. And even all those purple scarves, while not directly effecting change, are serving as a visible reminder to General Convention that we can and must do a better job of recognizing the women’s voices in leadership. Some have suggested that the gender gap matters more at the level of cathedral deans and cardinal rectors, and they are not wrong to remind us of the troubling disparity at all levels of leadership. However, we are an episcopal church that upholds the unique authority of bishops. If women feel so persuaded, they ought to stand for election to the episcopate. Surely God is not calling women at a 10 to 1 ratio to men. For every clergy woman who feels called yet worries whether she is old enough but not too old, talented enough but never boastful, knowledgeable enough without appearing condescending, or ambitious enough but not obvious about it, we say, go for it. For the love of God, and for the love of the Church that needs you, please go for it. Find a way to tune out the voices that say you don’t have what it takes because we need you at all levels of leadership. Lean in, be bold, get up, girl, and go for it.